This page shows the latest mdlinx.com news and features for those working in and with pharma, biotech and healthcare. com, MDLinx, Medigate, M3 Medical and Doctors.net.uk. ... For more information on the acquisition of Rotamaster by M3 please contact Hannah Brown on 44 (0) 7747 273879 or hannah.brown@eu.m3.com. About M3:. M3 operates in Asia, the US and Europe with more than 4 million physician doctor members globally via M3.com, MDLinx, Medigate, medlive.cn, M3Medical and Doctors.net.uk. 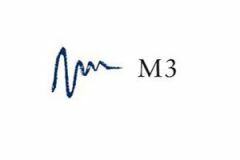 ... com.For more information on M3 visit or.